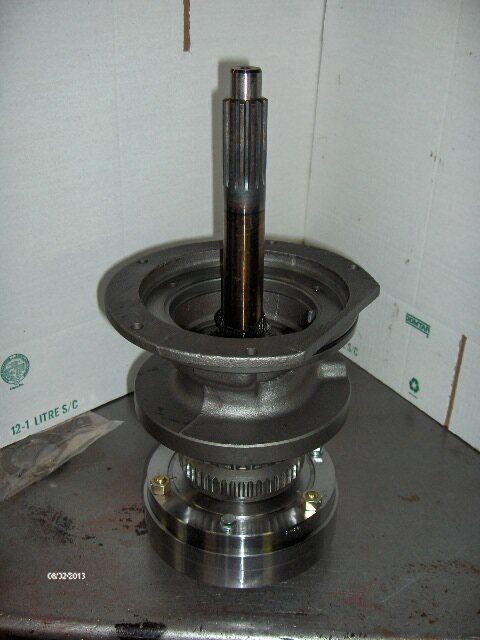 02/20/19) AS MANY OF YOU KNOW ALLIED PRECISION HAS BEEN THE SOURCE FOR OUR 8 DISC TA'S. THEY HAVE CLOSED THEIR BUSINESS AT END OF 2018 AND WE HAVE RECENTLY ACQUIRED THE LEFT OVER TA PARTS AS WELL AS THEIR PERMISSION AND TECHNICAL SUPPORT TO BUILD AND CONTINUE SELLING THE 5,6 AND 8 DISC UNITS! 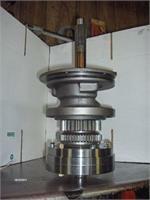 AT THIS TIME WE HAVE ENOUGH MAIN SHAFTS TO BUILD 5 TA'S. THERE WILL BE A SHORT WAITING TIME FOR US TO GET UP TO SPEED ON SHIPPING THOSE FIRST 5. BUT WE WILL BE HOLDING OUR PRICE AS LISTED HERE. IF YOU KNOW YOU WANT ONE FOR INSTALL IN NEXT 45 DAYS OR SO WE SUGGEST THAT YOU SECURE YOUR PLACE IN LINE BY PLACING THE ORDER HERE. YOUR PAYMENT WILL INSURE YOUR PLACE IN LINE. Specifically built for the IHC tractor's running big power and heavy classes on the track!! REFUND WHEN WE RECEIVE THE CORE. This unit will fit any of the big frame IH tractors from the early 706 all the way up through the 1456, 1066, and the 1486 and some of the 88 series tractors. THIS VASTLY IMPROVED UNIT WE HAVE LISTED HERE features a Renold sprag , the widest (1.200 inch's) and strongest sprag available. In addition this TA has 5 extra clutch disc's on the direct drive side (8 total) to increase the load pulling capacity by almost 300%. 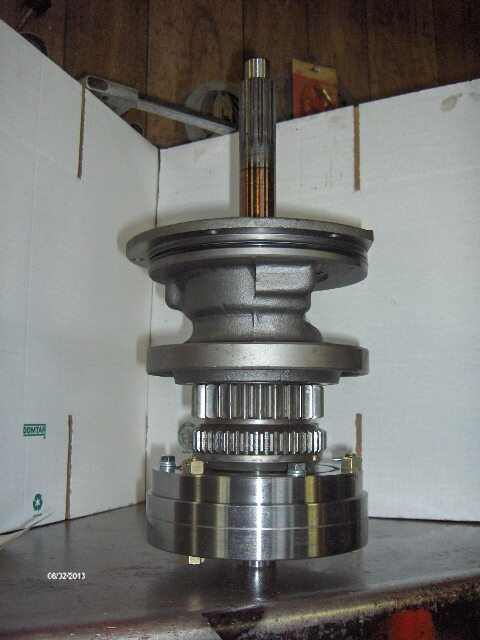 The unit is built with a large 13 spline billet input shaft and features a load carrying bearing just in front of the oil supply ring area of the input shaft for a tremendous improvement in shaft support. 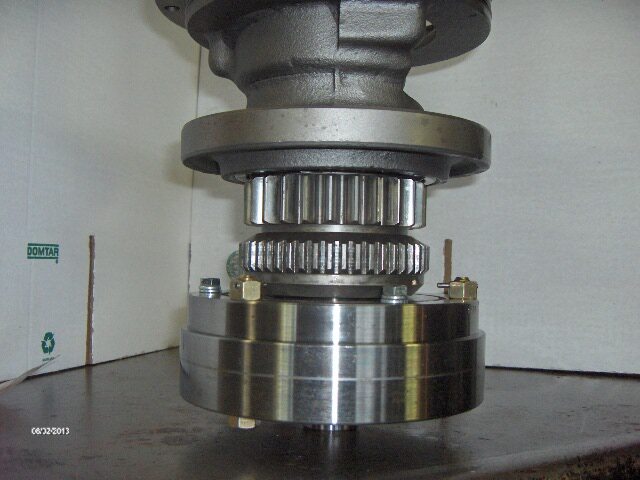 The large input shaft is custom built of high strength steel and has an oversize pilot bearing for strength as well as extra long splines to accomadate triple disc clutches. We have sold many of these units and can provide references if you would like!! We are pleased to put our stamp or approval on it!! These units are sold with NO warranty due to the nature of abuse that goes with tractor pulling.. 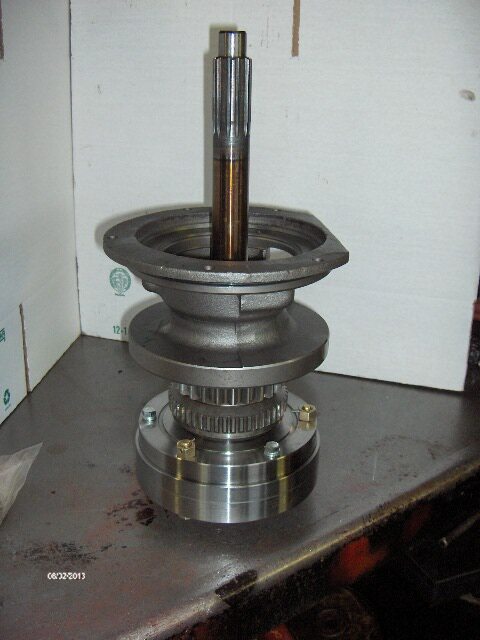 There are a few other parts that need to be changed out in order to run this TA in your tractor. 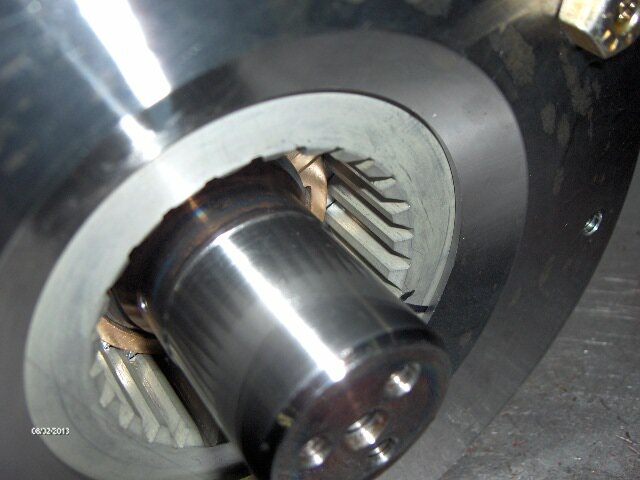 The IPTO shaft needs to be replaced with an 18 spline to clear the larger input shaft, and shortened to accomadate the front carrier bearing. nose cone / tube that supports the ipto bearing and seal and provides the slide for the throw out bearing carrier to be changed out as well.This item costs $75. Check our other listings for prices and information. EACH OF THESE PARTS ARE ESSENTIAL TO BUILD A TRANSMISSION THAT WILL HANDLE THE HP NEEDED TO COMPETE TODAY. PLACE YOUR ORDERS WELL IN ADVANCE!! 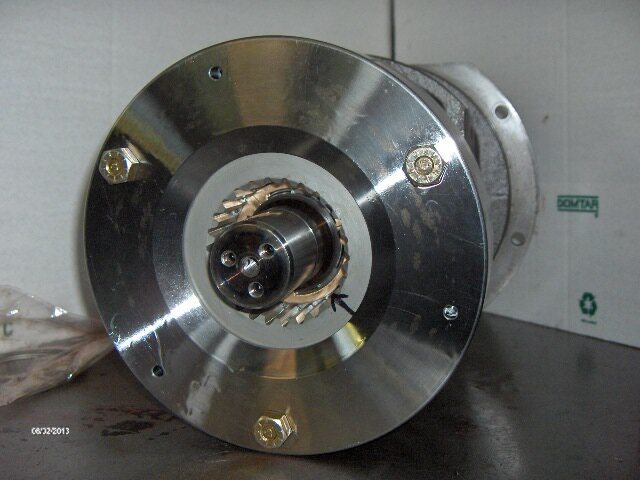 We also offer an install program here for tractor pulling transmissions and torque amplifiers. 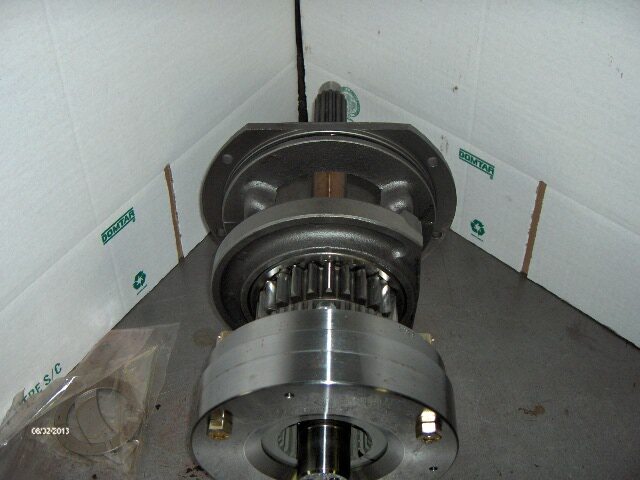 If you bring or ship your tractors center housing to our shop; for $699 labor, plus cost of needed parts we will dismantle your transmission and install our Ta into your housing. In about 8 hours you can go home and put your tractor back together. THIS PRICE INCLUDES THE LABOR TO INSTALL THE LOWER COUNTER BEARING SUPPORT!! This program has been popular because it saves you money by allowing you to do much of the labor (splitting the tractor) your self and still have the confidence that an experienced professional put the TA and center housing back together for a worry free rebuild.